Heeft u een vraag voor Silver Sand Holiday Village? 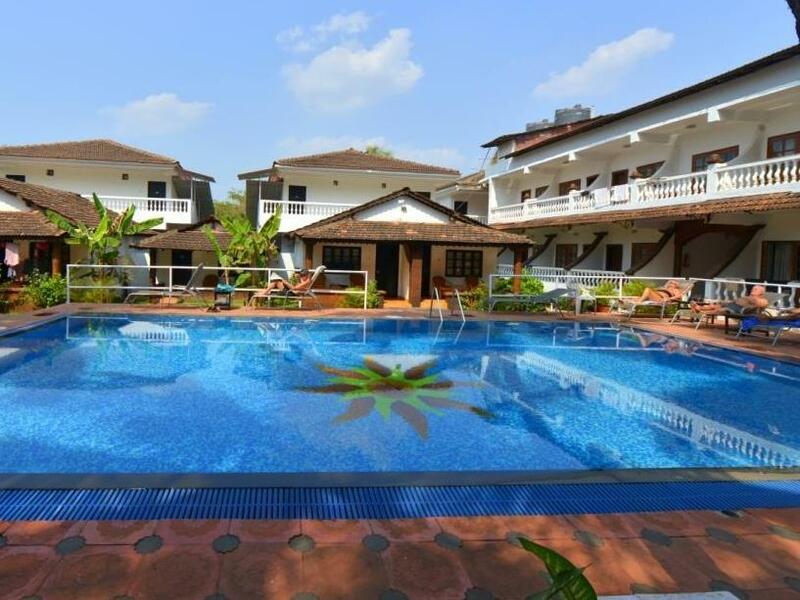 Gelegen in het hart van Candolim, is het Silver Sand Holiday Village een ideale uitvalsbasis om Goa te ontdekken. Op slechts 47 km afstand, kan dit 3-sterren hotel eenvoudig worden bereikt vanaf het vliegveld. Dit moderne hotel ligt in de nabijheid van populaire stadsattracties zoals Candolim Strand, Goa Aquatics duikcentrum, Calangute Mall. De faciliteiten en diensten, geboden door het Silver Sand Holiday Village, garanderen een plezierig verblijf voor gasten. Het hotel heeft een uitgebreid aanbod aan services, inclusief 24-uur roomservice, 24-uur receptie, bagageopslag, wi-fi in openbare ruimtes, parkeerplaats. Het hotel heeft 100 prachtig ingerichte kamers voor gasten, elk met plasma tv, airconditioning, bureau, balkon/terras, verduisteringsgordijnen. De complete lijst met recreatiemogelijkheden is beschikbaar in het hotel, inclusief zwembad (buiten), massage, zwembad (voor kinderen), biljart, tafeltennis. Ontdek een boeiende mix van professionele dienstverlening en een breed scala aan faciliteiten in het Silver Sand Holiday Village. We were looking for a place in a fairly quieter area of Goa which would also have easy and quick access to the happening places like Baga and Anjuna. This place fit the bill. The hotel is a few meters walk from a very beautiful and clean beach. Lots of families around. Loved the pool though I wish there were fewer people around as the size of the pool wasn't big enough. The staff allowed us to have beers at the pool which a sign strictly prohibited, so plus one for the staff. The rooms were average, a bit dim for my liking. We almost got what we paid for considering the location. Breakfast wasn't that great but we didn't mind. There are lots of nice restaurants and clubs around the hotel if you want to venture out. All in all we had a good stay! The best thing about this place is the staff and location. No problem with any single member of staff. From the management to the gardeners they were lovely and polite and unlike other Goa hotels we have stayed in do not beg for tips. The biggest problem for us with this hotel is that the pool sees very little sun so you don't want to really spend too much time around it. Also if you jump in you soon want to jump out it's that cold. No problem though as the beach is a very short walk away through the gardens. Couldn't fault this place. 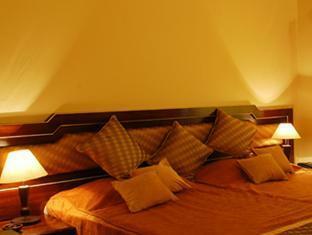 Lovely rooms, helpful friendly staff, good food and right on the beach. I like the hotel location,staff ,food however just wanted if we cud have some activities in the hotel to engage children and to us too, would definitely visit next time otherwise,value for money..thank! Receptionst is very informal . Food is very bad ...very bad property . Even after repeated complaints nobody attended till check out. The location is awesome as it's not even 200mts from the candolim beach. Food was also nice, as were the staff. The cottages don't have enough ventilation as the windows can't be opened to stop insects from entering. It would help if the windows are totally covered with mosquito nets so that we can open it anytime for fresh air. Also, it takes a bit of time for check-in and check-out, the latter being a surprise for me. it would have been better if had kitchen along with rooms as there were children in our group.. no fridge available as well. otherwise it was good experience. Hotel property is nice and clean. Very near to the beach (2 min walk/~300 mtr). Value for money. Nice breakfast arrangements. Nice pool and hangout area. Right there in happening street near beach. Improvement areas : Window AC are old and inefficient, needs upgrade. 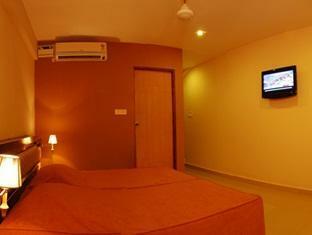 Room needs better air conditioning for hot summer day time.. night time AC did its job satisfactory. There are two single bed joined so in between two, there is still split line. Needs double bed mattress. Also, there needs to have some close drying options available, because in such a nice cottage, people dry their cloths outside on chairs and hangers. First impressions of this hotel are not the same as the impression it has left on you when you leave. It comes across as a bit shabby but you soon see through that and grow to love this place. 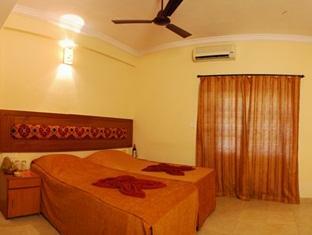 Well situated real close to Candolim beach and it's many beach shacks. Handy for all the restaurants on the road up to the main Candolim to Calangute road. In India you can really do a lot worse than this lovely little hotel. - Great location , 600mtrs from the beach. - Minimal breakfast. - Rooms are "Okay"
Should be avoided if u have other option. They left us sleep without A/C in the month of May. Even didn't return any money and more ever the night manager was very rude and arrogant. So imagine the trend .Even Agoda did not help. If u (agoda) promise the survice and charge the money accordingly, should be held accountable if the hotel is not providing for what so ever reason. Agoda should have returned my money for the days the service not provided.